If you are looking for a professional and caring partner for window shutters, Perth Rollershutters is your best solution. Our company can provide you with quality roller shutter services in Perth and all surrounding areas. We only offer our customers the best value products and services. We make sure our customers’ safety and well-being are simultaneously taken care of. Our unique, high-end motor that powers our roller shutters are extremely strong, durable, and long lasting unlike other ones you might find in the market. Safety and comfort are the goals we have in mind for everyone, whether you are a business or resident. Our high quality custom built roller shutters are the final answer to abrasive and inclement weather as well as keeping your mind at ease. Our shutters provide the ultimate peace of mind in security. Comfort in our personalised options and custom made products is what differentiates our services from the rest. We have a variety of products and a wide selection for our customers to select from. If you have no idea what you need for your house or your building, we can provide you with consultation. Our team consists of experts with both practical and consultation skills. Window shutters are practical and are often used at various locations, such as garages, warehouses, factories, kitchens, windows, and doors. They can be installed with manual or electronic control. The primary uses for roller shutters include heat and noise insulation, increased security, and protection from adverse weather conditions, such as hail or extreme heat. The high temperatures of the summer can be mitigated with the ability to control the amount of sunlight that beams into a room during the day. Infants, children, or even shift workers can sleep peacefully because of its light and noise reduction properties. Heating and cooling costs will be reduced, which can save you a substantial amount. Professional repair services are supplied to you by our maintenance team. They are a veteran and experienced group of experts who are able to handle all cases ranging from minor problems to more delicate complications, such as damaged internal components. Our team specialises in manual and electronic shutter repair of most makes and models. What differentiates our services from others is the extent of our personalised care, courtesy, and consideration. Freedom in choosing the different sizes and colours of our roller shutters is available with our custom built products. Our company offers products and services to Perth as well as the surrounding areas. Financing options are conveniently offered when you choose to hire us. A pensioner discount is made available to senior citizens. We understand that business owners and residents expect a competitive price, and therefore all costs are kept down to a minimum so that we can continue to offer an affordable deal on repair and shutter installation services. 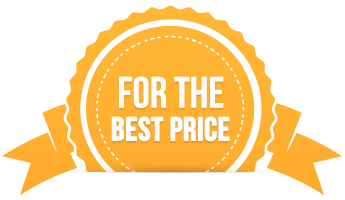 We will match any price, and even if you find a lower one we will beat it. At Perth Rollershutters, we value our customers. Whatever flexibility is required or additional services are needed, we are willing to go the extra mile to match your goals. Contact us today on (08) 9472 5143 for a free measure and quote on our products. We are happy to answer any of your questions and provide detailed information. Be sure to view our gallery for examples of our work.